I am a 71-year-old retired factory worker (42 years) with a less than perfect heart, pulmonary fibrosis, diabetic, prostate cancer, 2 artificial hips. My wife of 50 years Patti and I live in a less than perfect house, we don’t drive a fancy car, we don’t have a big bank account, in spite of what we don’t have both of us lack nothing. We have each other and we have the Good Shepherd in our individual lives and in our marriage and the Shepherd gives us what we need when we need it. It’s not always been that way at least for me because once was a time I was as dumb as a box of rocks! That was then now I am as smart as a sheep! That’s right I’m as smart as a sheep in spite of what you’ve heard about sheep being dumb, like sheep I follow the Shepherd. I am glad too there was a couple of times when I wandered off got lost once and fell in a fast-moving river and nearly drowned, but both times the Shepherd was there to save me. Because walking any distance depletes my oxygen levels to dangerous levels I walk slow and not far, but as luck would have it somehow I got moving to fast my oxygen dropped, chest started hurting, because of the lack of oxygen my head started to buzz and almost instantly I found myself resting and the Shepherd working through Patti calmed me down and renewed my oxygen levels. Yep! I sure am glad I follow the Shepherd these days. Since my lung capacity has dropped as far as it has there are times when Id am not so sure where I am going, and how long I’ve got but one thing I know without a doubt the Shepherd is leading me along the right path and one day the gate will swing open to His Forever Pasture and He will lead me Home. 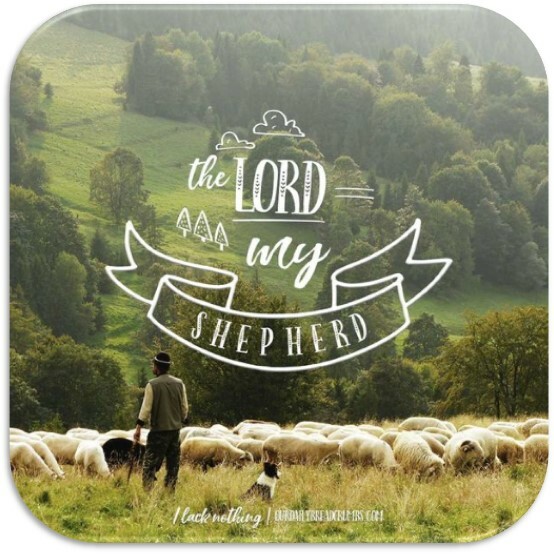 I am sure you have your own experiences following the Shepherd reflect on them often treasure them always and never be afraid to tell someone who may not know the Shepherd or anyone who hasn’t a relationship with Him. By sharing your story you are giving Glory to God.